Blekinge’s archipelago in the south of Sweden, is famous for its pike fishing. 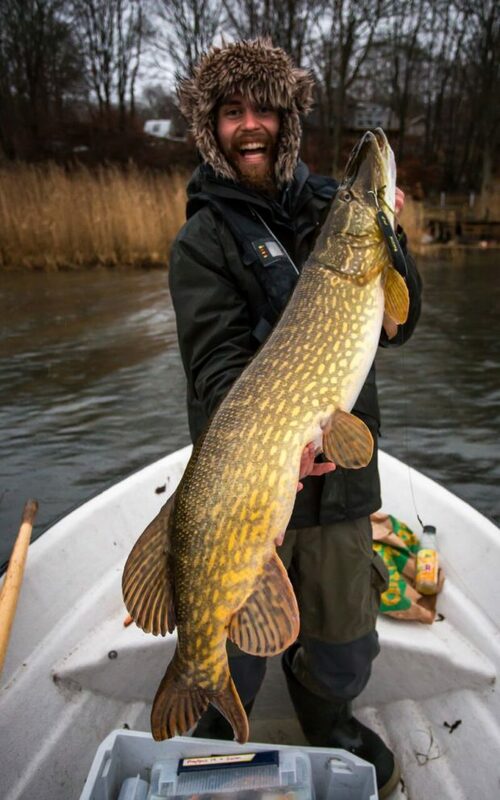 Here you will find plenty of large pike, often weighing around 10kg. 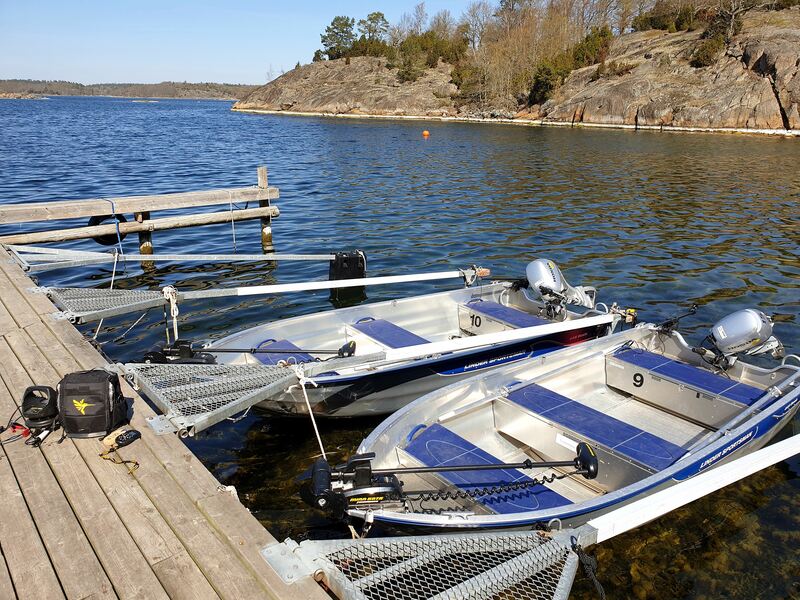 Experience the sports fishing in Sweden's southernmost archipelago. Our guests return year after year – they appreciate the surroundings and accommodation just as much as the fishing. The varied coastline with it’s rock formations, shallow bays and deeper parts ensure you a wide range of fishing experiences. 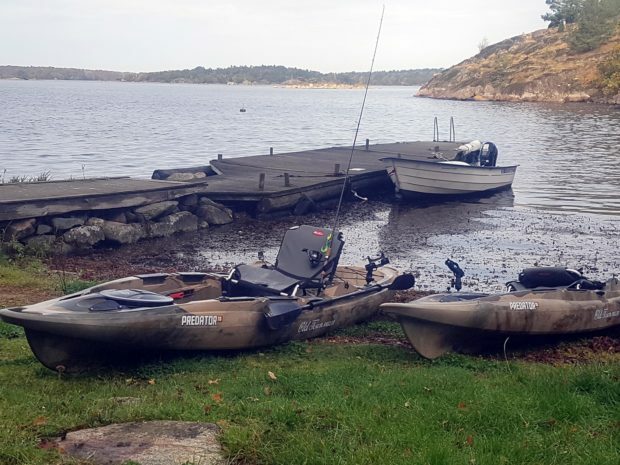 Popular areas for pike fishing are Järnaviks bay and the surrounding waters including those around the islands Bjärnö, Tjärö and Tärnö as well as the islands and coastline around Eriksberg nature reserve and the Bräkneån estuary. Further out to sea you can fish for sea trout and cod. If you like fishing in strong flowing currents, you can try the rivers Bräkneån and Vierydsån only a few kilometers drive from our holiday cottages. 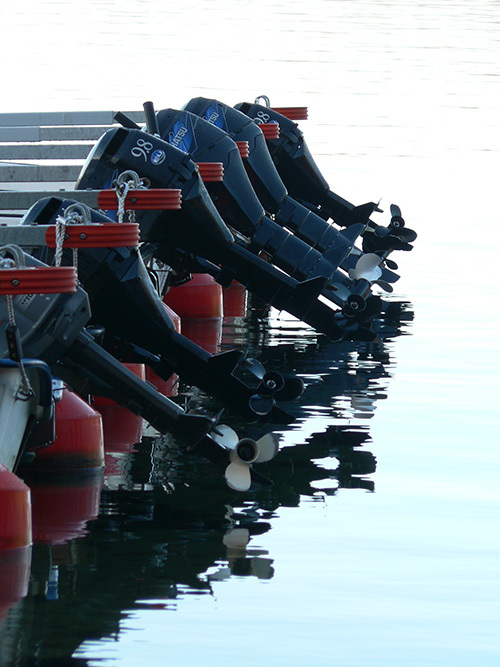 We have 13 boats for hire, all with modern, 4-stroke engines (9.8 hp or 15 hp). All boats are equipped with life jackets, paddles, anchor and sea charts. We now also have two bigger, specially equipped for pike fishing, aluminium boats equipped with 15 hp Honda engine and a bow mounted Minn Kota motor with a remote I-Pilot and a sonar with GPS. We offer two quality kayaks for pike fishing. 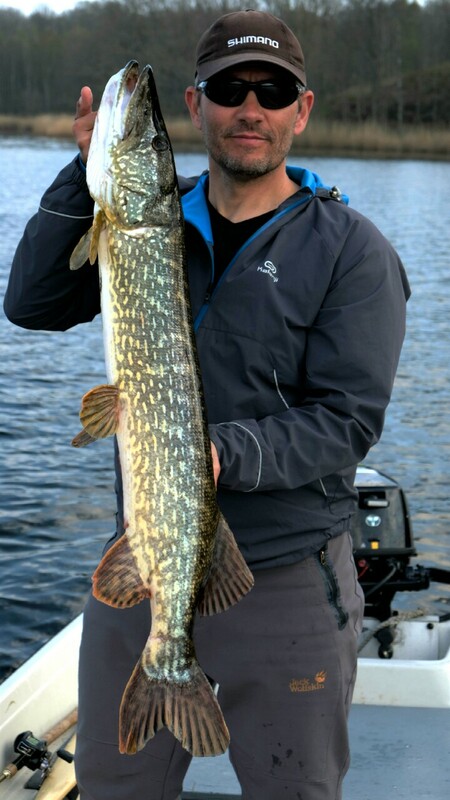 With an "Old Town Predator 13" you will experience a fun and closer pike fishing in a kayak that combines good paddling characteristics while at the same time is stable enough to fish for the pike standing up. It is a perfect fishing platform both in the inner and outer archipelago.When you hire a fishing kayak, paddle, life jacket, sea chart and a small anchor is included. 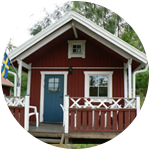 1400 SEK / week for guests. 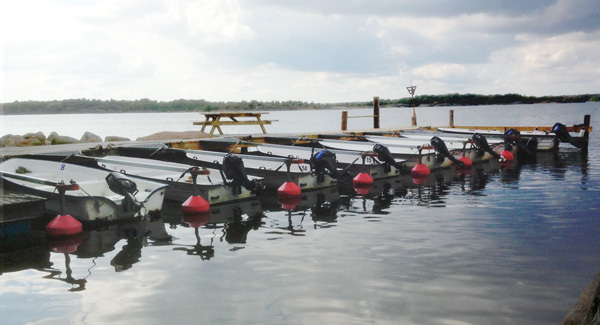 If you have your own boat, there is a small ramp for launching the boat at the fishing camp site. We have a wood fired sauna by the beach wich you can enjoy after your day of pike fishing. 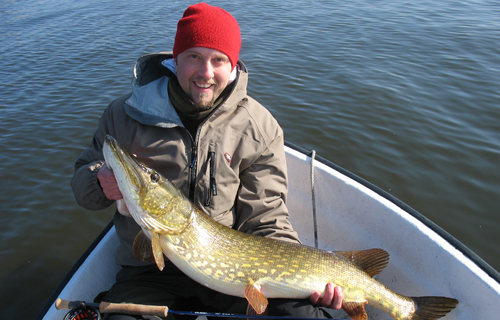 The best time for pike fishing in southern Sweden is from March–May and September–October, but you can fish pike here all year round. Fishing in the rivers is open from March to September (fishing license is mandatory). In rivers – pike, perch, trout, bream, salmon, rainbow, ide, tench and trout. Fishing in the sea is free in Sweden, you need no license. Fishing licenses valid for both rivers can be purchased in the nearby grocery store, ICA. More information about prices, fishing regulations and zoning in Bräkneån South can be found at www.mortstrommen.se (Swedish only). 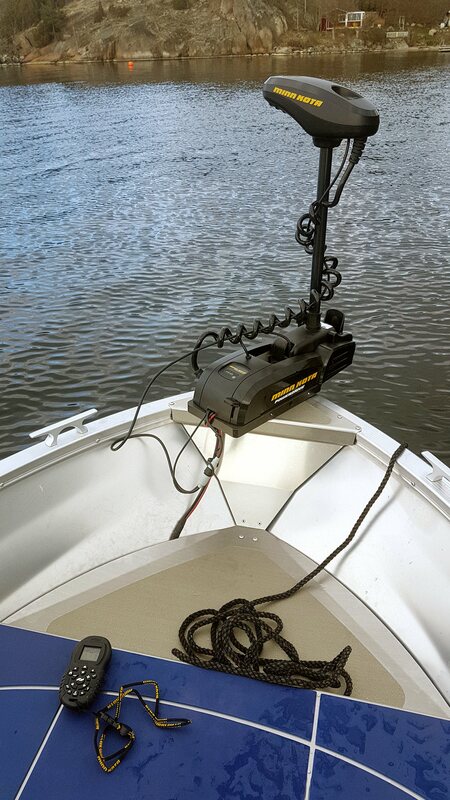 Fully equipped sport fishing boat with GPS, sonar and a Minn Kota electric front motor with a remote, I-Pilote. 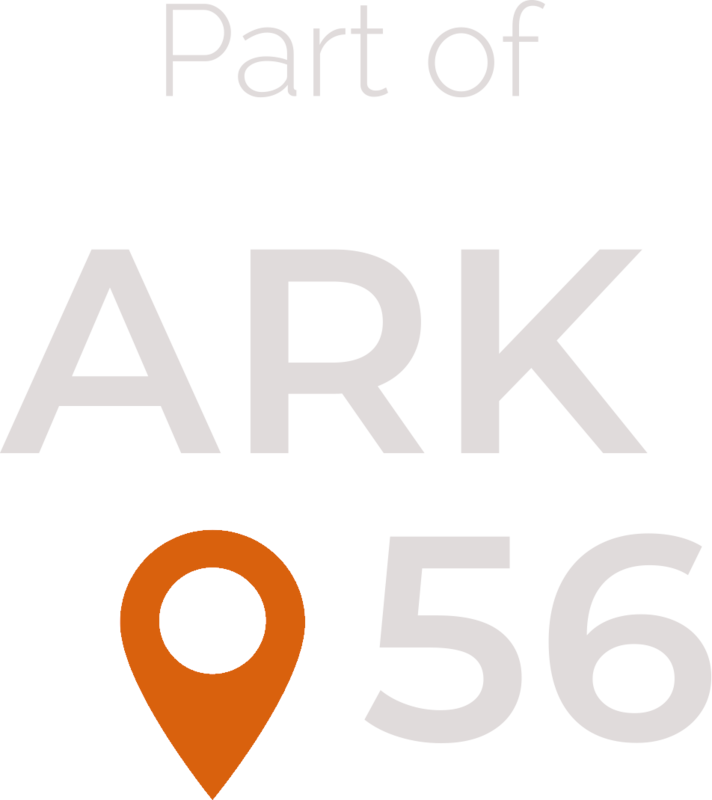 Rent a portable Sonar kit, Helix 5 CIRP G2 with Internal GPS for 500 SEK/week. See picture below. Please visit our booking page to see all the options and prices, make your reservation or send a request. With us, however, you put together and mix your own fishing package directly on our booking page and choose house type with optional items like boat, final cleaning, sauna and bedlinen and towels and you see the total price directly. If you fish here one day you’ll probably want to fish more. Our holiday cottages are only 300 metres from the sea – the perfect place to relax after a full days fishing. Read more.